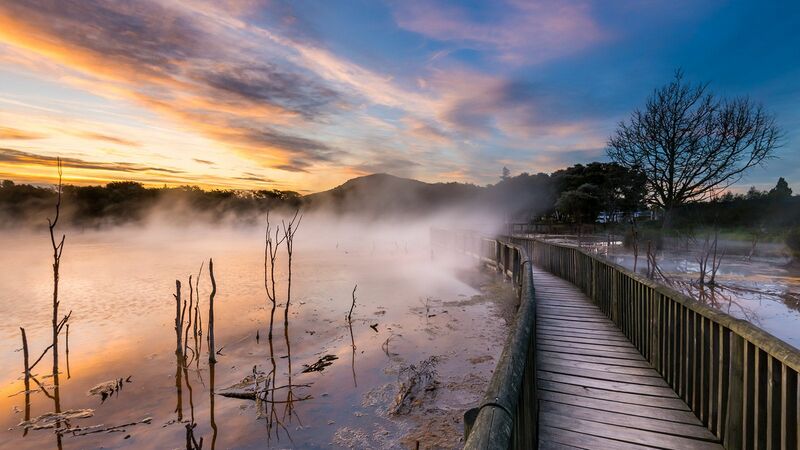 This is Rotorua's most active geothermal park only 20 minutes from central Rotorua, offering guided geothermal tours through an amazing landscape of steaming sulphur and boiling mud pools at 9.30am & 1.30pm daily. At Hells Gate you can get hands on with the earth and the Maori culture as you stroll through this untamed wonderland. Touch the geothermal mud’s and do your own Maori carving as a souvenir of your visit. Features of Hells Gate Geothermal Park & Mud Spa include unique New Zealand Geothermal Mud Bathing, Hot Sulphur Spas, Miri Miri Massage and Geothermal Mud Therapies available. 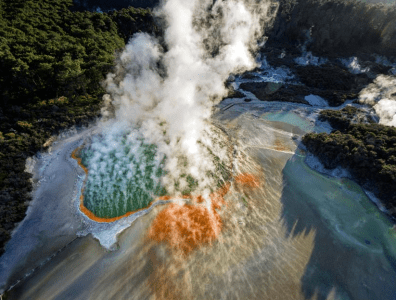 New Zealand’s most colourful and diverse volcanic area. Experience the raw beauty and sheer power Mother Nature offers. 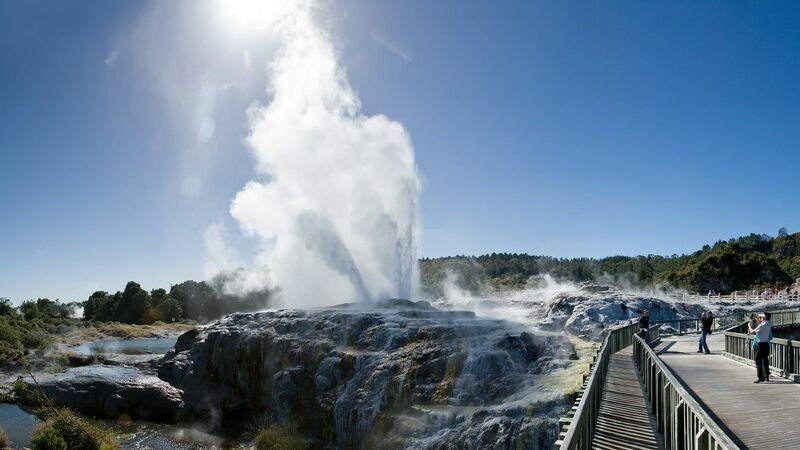 Stimulate the senses with the sights, sounds and smells of geothermal activity. 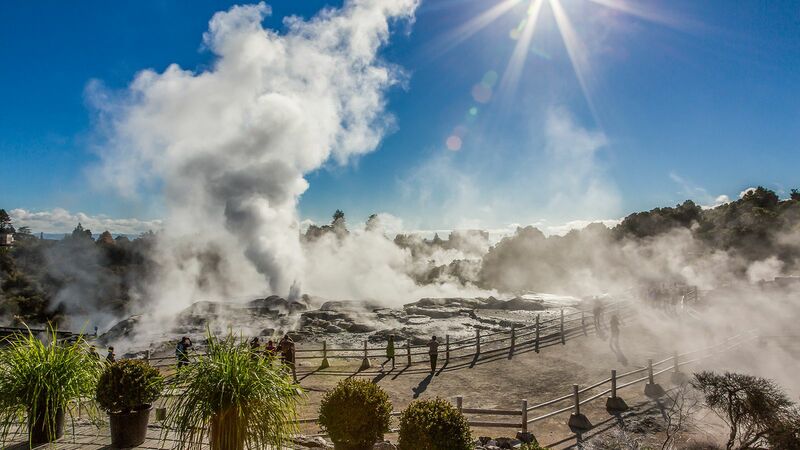 The walks take visitors on a journey through stunning geothermal activity and unforgettable vistas. Waters from two natural springs are fed into the 28 mineral pools at Polynesian Spa. The slightly acidic Priest Spring relieves tired muscles, aches and pains while the alkaline waters of the Rachel Spring nourishes skin.